Down to fewer than 10BB, Brett Murray moves all in and is called by Sam Kouch. Murray is behind 33 to 66 and there's a 6 in the window. 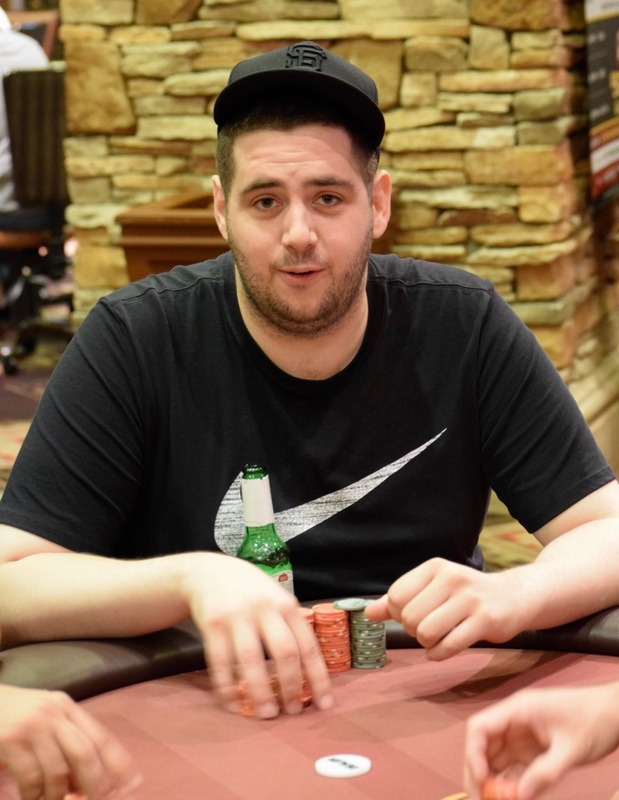 Murray cashes in 16th place, a $3,225 payday. Lokesh Manohar was eliminated a few hands earlier in 17th, the same cash as for Murray.